We gather together to find meaning and live more deeply. We create connections within, among, and beyond us, calling us to our better selves, calling us to live with wisdom and compassion. 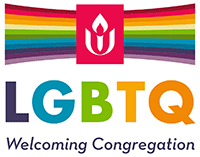 UUGP is member-led—our members help plan and lead programs and events, care for each other, pursue social justice and environmental ethics in our community and beyond, and are fully engaged in congregational life. To minister is to serve. Ministry is our mutual calling to lead lives of service and integrity. Ministry invites each of us to find a role in creating a beloved community here and in the world. We offer learning programs for children age 5-12 during the first and third Sunday service each month. And for teens age 13-17, by appointment, during the first Sunday service each month. From time to time, services incorporate longer musical performances or holiday celebrations.